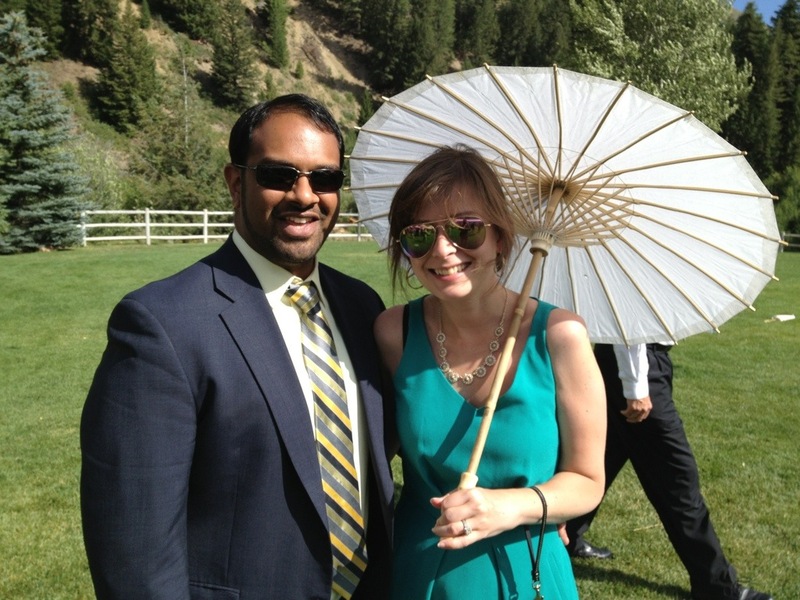 The wedding began later in the day, so the hubs and I took advantage of our surroundings. 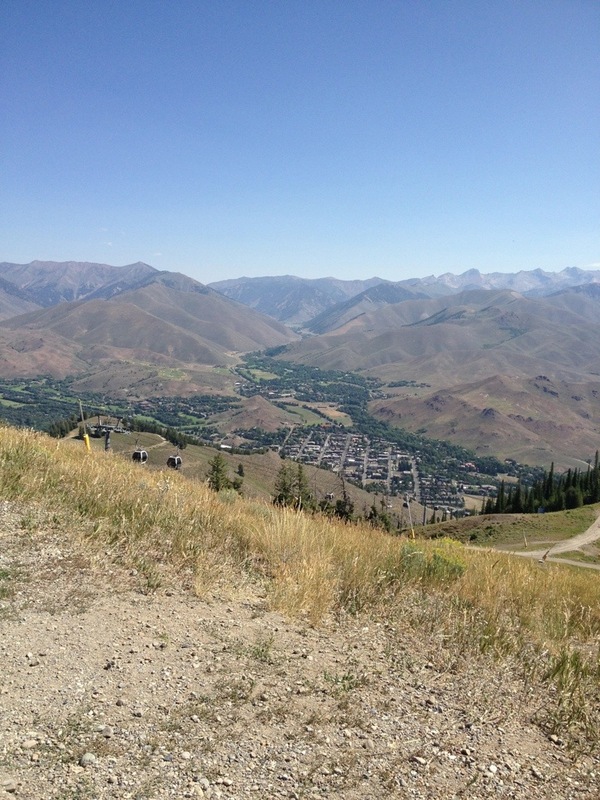 Well…first…we tried a bike ride but my little one speeder could not handle the hills of Idaho. So, we went into town and took a gondola up to the top of Bald Mountain where we took pictures of the beautiful surroundings and tried not to run out of breath (altitude). Next we took in a rehearsal for the local orchestra. They rehearse in the outdoor amphitheater, so it is free for anyone who wants to watch. The hubs commented how great it was to hear live orchestral music–something we will definitely need to pursue in Chicago. 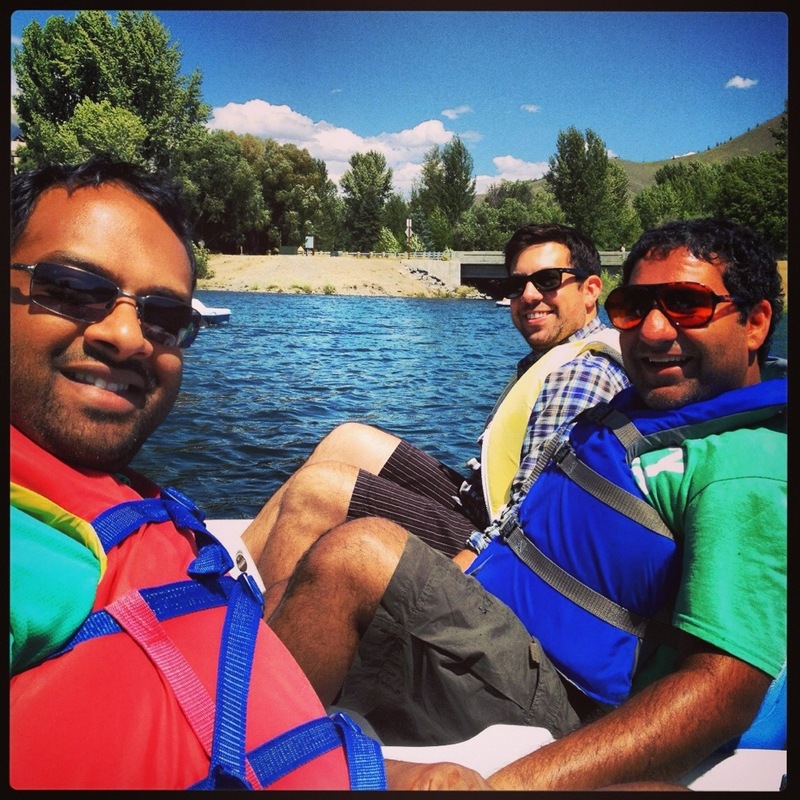 After that, paddle boating on a small lake with our friends, Parvesh and Gregory. There we dared each other to go under the bridge that was “off limits” to paddle boaters. Then, after all that, THE WEDDING! 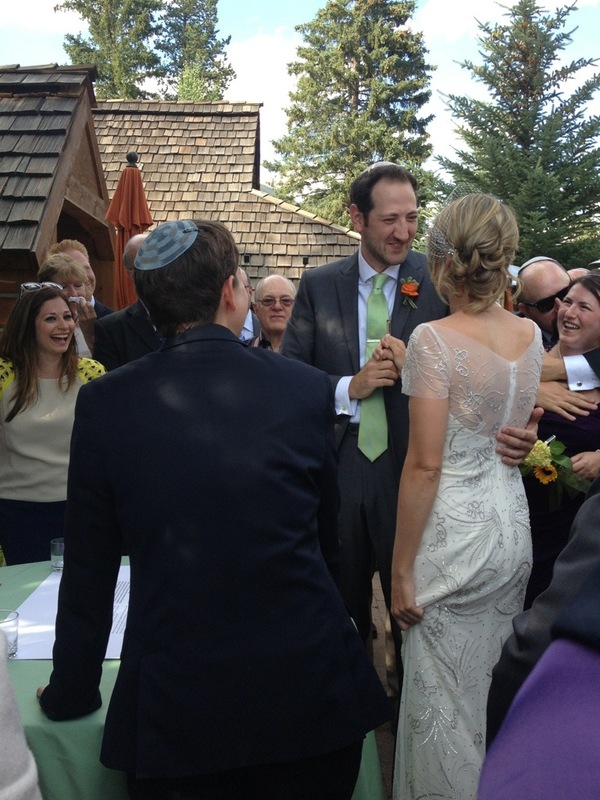 It was a Jewish ceremony that modernized some of the traditions to include women and non-Jewish family and friends. 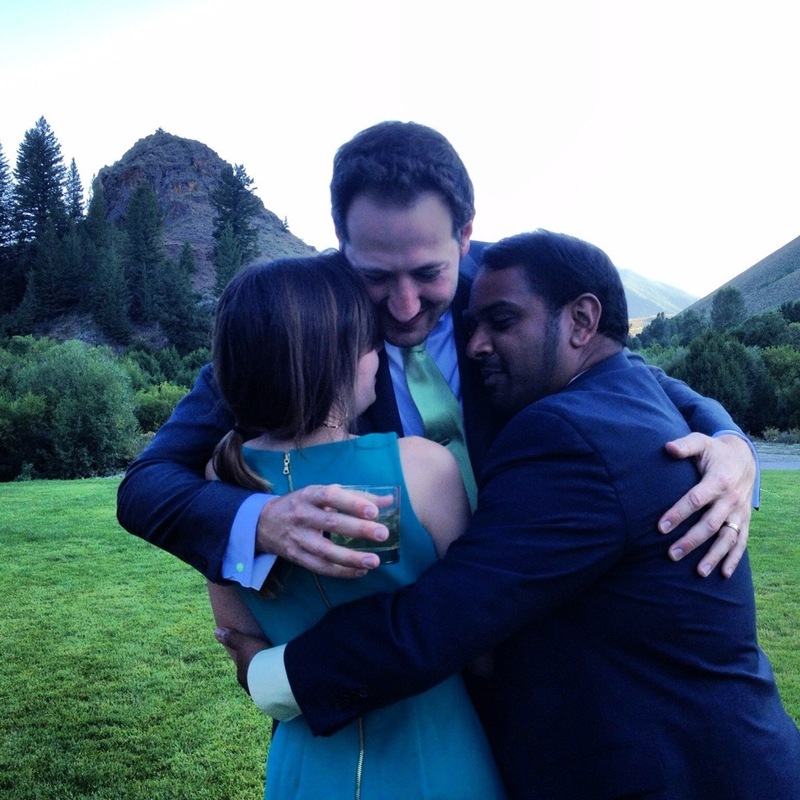 Everything was beautiful–the location (nestled in the mountains), the dress (classy, modern, and sleek), and the love between the happy couple (10 years together, multiple cities and jobs that kept them apart). Oh, and a Hora like you’ve never seen! So fun.